Constantly emerging sophisticated cyber attacks jeopardize your business every minute of every day. 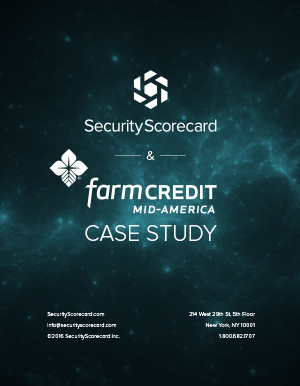 SecurityScorecard instantly identifies vulnerabilities, active exploits, and advanced threats to help you rigorously protect your business and strengthen your security posture – from an outside-in perspective, enabling you to see what a hacker sees. 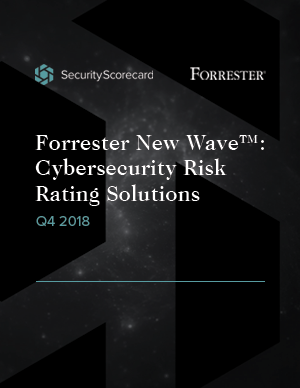 Download this new Forrester analyst report to gain bleeding-edge insight into what security ratings can do for your organization today, and why SecurityScorecard's offering leads the pack. Get your free scorecard and learn how you stack up across 10 categories of risk. Answer a few simple questions and instantly receive your score in your business email. 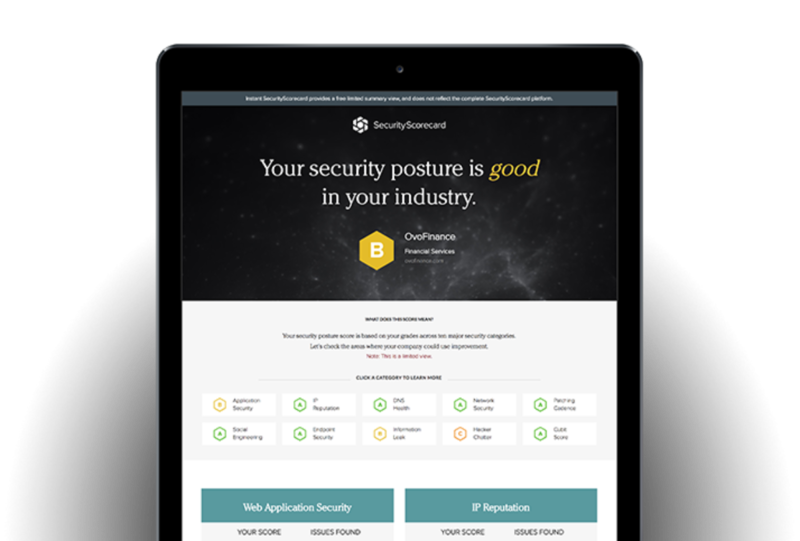 Don’t settle for just a security score. To counter advanced threats, your business needs telemetry, intelligence, and collaboration tools to actively identify vulnerabilities, quickly remediate exploits, and continuously monitor your ecosystem. Get instant visibility into the security posture of your vendors and business partners. We enable enterprises to take control of risk across their entire ecosystem by continuously monitoring internal systems and vendor environments. We collect and analyze threat signals across the public web, dark web, our global sensor network, and threat intelligence feeds. 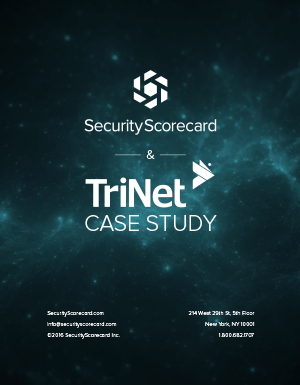 With the largest and highest quality dataset in the industry, our platform delivers the most accurate security ratings and detailed findings possible. Enterprise visibility is often restricted to an inside view of security posture. Our platform enables you to discover, monitor, and report on the cyberhealth of your IT infrastructure from the outside-in - see what a hacker sees. Insurance providers leverage our platform when underwriting cyber insurance policies for their customers. 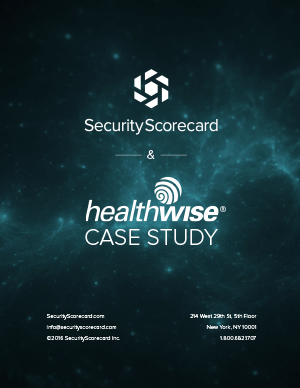 SecurityScorecard enables enterprises to take control of their risk profile while giving insurers visibility into the cyberhealth of their prospects and policyholders. As part of the due diligence process, acquirers are increasingly looking at the cyberhealth of entities they are evaluating in order to determine the risks and liabilities they might assume, as well as to ensure that proper security operations and compliance controls are in place. 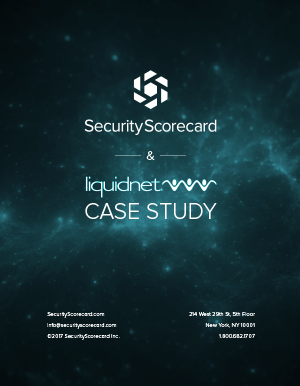 SecurityScorecard enables organizations to easily prove and maintain compliance with leading regulation and standards mandates including PCI, NIST, SOX, GDPR, and many others. 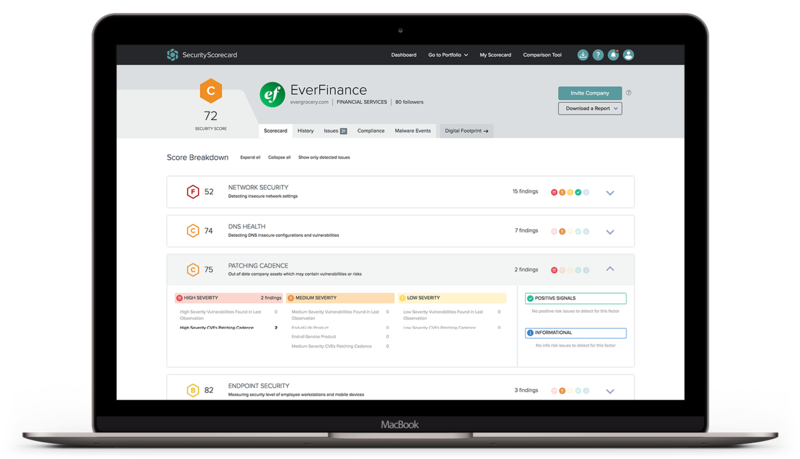 Eliminate compliance reporting headaches and minimize the risk of compliance findings and penalties against your business.